Just 2 steps. 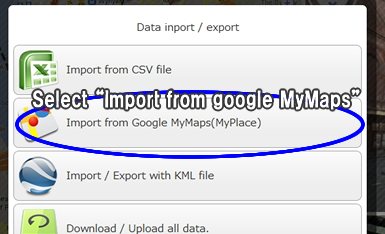 All data on GoogleMyMap can be imported to mymapplus Directly. 1: After logging in, click "Import / Export" button on Top-right window.